You will be given a free reference e-book to read which has 626 pages And the test will be based on that e-book. Pharmacy technician refers to a health care professional who performs functions related to the pharmaceutical industry. This professional works under the supervision of a licensed health professional or pharmacist. It should be noted that pharmaceutical technicians are allowed to work in various locations including retail, community and hospital pharmacies, pharmaceutical manufacturers, computer software companies, teaching companies, government institutions, 3rd party insurance companies and long-term health care facilities. Among the major roles and responsibilities performed by pharmacy technicians are dispensing medical devices and prescription drugs to patients and providing instructions on how they can use these. They are also responsible in successfully performing administrative functions in the pharmaceutical industry including reviewing the requests for prescription drugs present in insurance companies and doctor’s offices, ensuring the provision of the right medications and directly speaking with patients to improve their awareness about how they should take their medications. It is important for you to note that in order for you to become a certified pharmacy technician, you need to meet the required education and training and take up and pass the related exam. 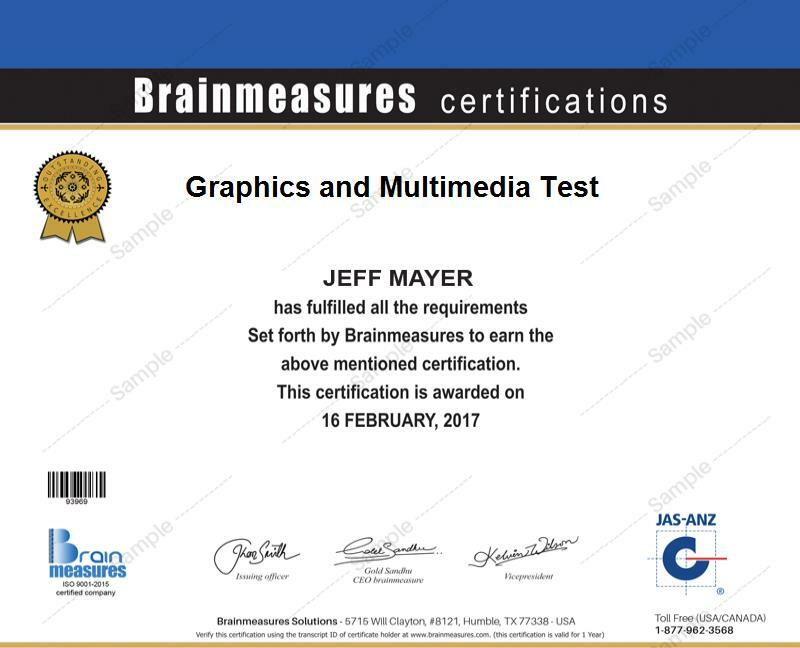 Fortunately, Brainmeasures is now around to make it easier for anyone to handle the whole process of certifying themselves. This is through the free pharmacy technician certification course that it now offers that come with the most detailed study guide designed for aspiring pharmaceutical technicians. A free practice test is also included in the course and this can help you master all aspects usually tackled by the actual pharmacy technician certification exam. Enrolling in the free pharmacy technician certification practice course expertly developed by Brainmeasures is probably the best thing that you can do if being part of the pharmaceutical industry has been your biggest aims. This free pharmacy technician practice course offered by Brainmeasures covers all relevant aspects related to the scope of work of this specific health care worker. It features a comprehensive study guide which is completely filled with the most accurate and updated information related to the industry and this is a major help for you if you want to have an easier time handling the actual online certification exam. The company also offers a free practice test established by real experts and this can further boost your chances of passing the pharmacy technician certification exam and become a certified professional in the pharmaceutical industry. How to add the right information into the prescription form? Enrolling in the pharmacy technician practice course available at Brainmeasures is perfect for all those who wish to handle the pharmacy technician certification exam effectively and successfully pass it. It can work suitably for you if you strongly desire to become a certified pharmacy technician and get an idea about all the knowledge and skills needed for you to successfully perform your functions. You can also expect to start earning an even higher salary after successfully passing a pharmacy technician certification. With the help your certification, you can start working as a certified pharmacy technician and enjoy at least $54,000 yearly. You can also use your certification to work as a pharmacy consultant which entitles you to enjoy approximately $69,000 to $112,000 every year.